Not sure if you guys saw this coming but I am sure you have seen this all around the net this week and I am sorry that I am taking part in it but I am doing this because I truly care about all of you (part of it) and also I want to be cared too (real intention). Just kidding lol. Well like all of you who knows probably a month before me, GFC is going down and BlogLovin' / Facebook is going up. For those that I am already following on BlogLovin, that's cool. For those of you who does not have BlogLovin, it would be great if you could have one, that way I can still follow and read on any updates from you immediately. It would really be a pain if I could not remember your URL then I lose you forever. That would be such a shame. See you next round (soon!)! Lol okay. Just a random fun. 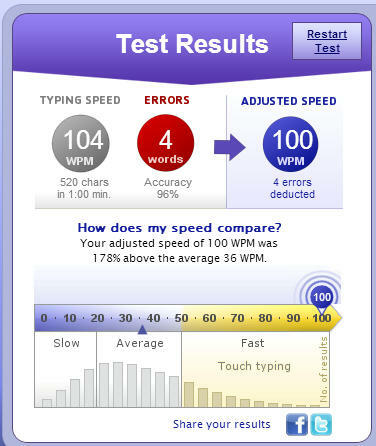 Yesterday a bunch of friends and I were competing to see who types faster so we went to www.typingtest.com and took the first test. 1 Minute, English, The Enchanted Typewritter and this is my result. What's yours? Would you like to let me know? awww hahah now i gotta learn how to use bloglovin! amazing post and gorgeous lay out!!! this post is very interesting!! check my blog if you want!! It's sad that GFC will be gone! I guess bloglovin it is now?! Sigh, it was a good long run with GFC! 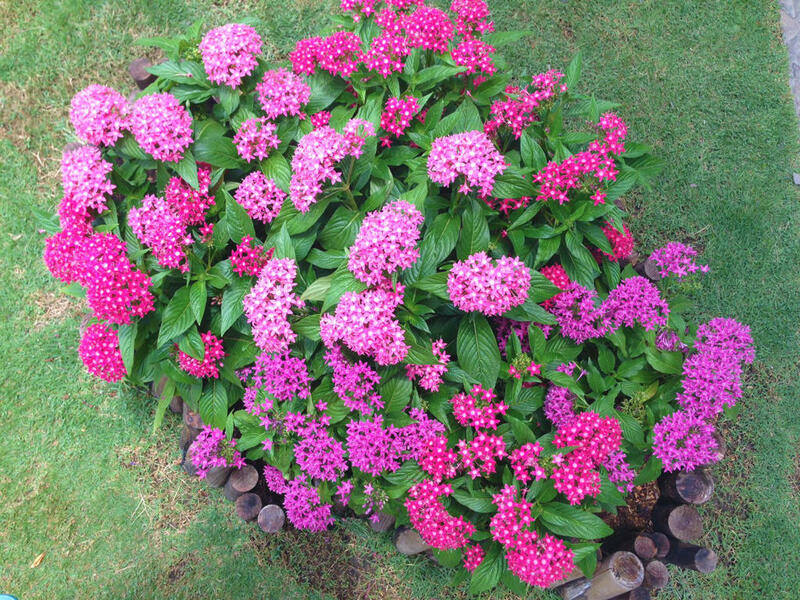 instead of following u at bloglovin, i'm already following u at GFC and Nuffnangx! hope you follow me back too! I hope your follow me back sweetie. Just as expected, I did disastrous in the typing test. You my friend, have some serious skill. P.S. : I wanted to tag you, but I really didn't know what are the Internet tag rules because then we'd just be passing these tags amongst us two. :) And I was a bit hesitant because I know that coming up with 11 not-so-moronic-or-boring questions isn't that easy and you just came up with 11 cool ones. But I thought and still think it would be cool to read you answers to my questions, ya know.